The first was HMS Astute (P447), an Amphion class submarine launched during World War II. HMS Astute (S119) was the second submarine of the Royal Navy was laid down in January 2000 (completion intended 2006) and takes the Royal Navy into its second century of submarine operations. At 7200 tons, she will be the Royal Navy's largest ever attack submarine. Her nuclear reactor will propel her at high speed and allow her to remain submerged with a crew of 98 as long as necessary. 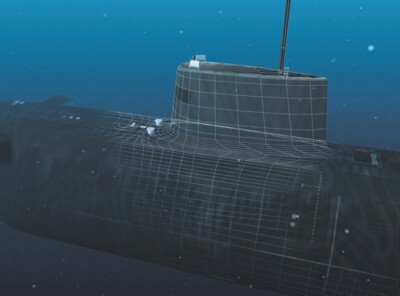 HMS Astute will displace 7,800 tonnes dived and is 97 metres long, she will have six weapons tubes a massively increased firepower compared to predecessors and will be equipped from day one to operate cruise missiles. Astute will be one of the most capable submarines anywhere in the world.